Catherine Ralls, age 73, passed away on Thursday, February 7, 2019, in Cincinnati, Ohio. She was born June 14, 1945, in Birmingham, Alabama. Catherine “Pluppy” Ralls, 73, passed away peacefully in the home of her loved one’s on February 07, 2019 after fighting through a heart condition (Amyloidosis Disease). Catherine was born on June 14, 1945 in Birmingham, Alabama to the late Arthur Martin and Annie B. Craig. She moved to Cincinnati, Ohio with her family in 1955 where she attended Porter School. Catherine worked many years in the food and warehousing industry. She was a clean person and was highly known for her tidiness. Catherine loved all genres of music, she liked to dance and absolutely loved a great debate with her siblings or anyone for that matter. She had a love and willingness to help others that was unconditional. She was the type of person that would do whatever she could do for someone else, even if it meant she would have to go without. In addition to her life-long soul mate Willie Hill, she was preceded in death by her eldest brother Eugene Martin, her youngest brother Theodore Craig, and her great-granddaughter Aaliyah Cook. 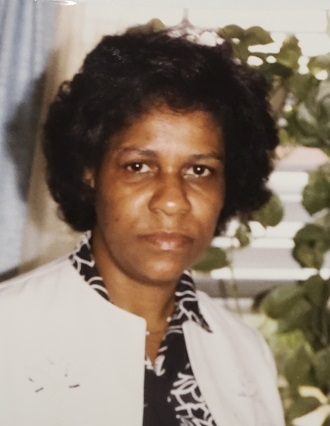 Catherine was a selfless parent and is survived by her children Grady, Phyllis (Wendell), Angela (Fred), Sandra, and Darnell; Her siblings Bertha Martin (Doug), Arthur Martin, Leon Martin, Alfonzo Martin (Essie) and Irene Fernanders; 16 grandchildren, 49 great-grandchildren, and a host of nieces, nephews, and cousins. Visitation is from 10:00 am until 11:00 am, on Tuesday, February 12, 2019, at the Walker Funeral Home - Gilbert Chapel, 2625 Gilbert Avenue, Cincinnati (45206). The funeral service will immediately follow the visitation beginning at 11:00 am. To share a memory of Catherine or leave a special message for the Ralls family, please click the "Tribute Wall" tab above and to the right, enter the information, and click "Save Post." Walker Funeral Home, 2625 Gilbert Avenue, Cincinnati (45206) is serving the Ralls family. Please call (513) 251-6200 or visit www.WalkerFuneralHome.com for additional information.